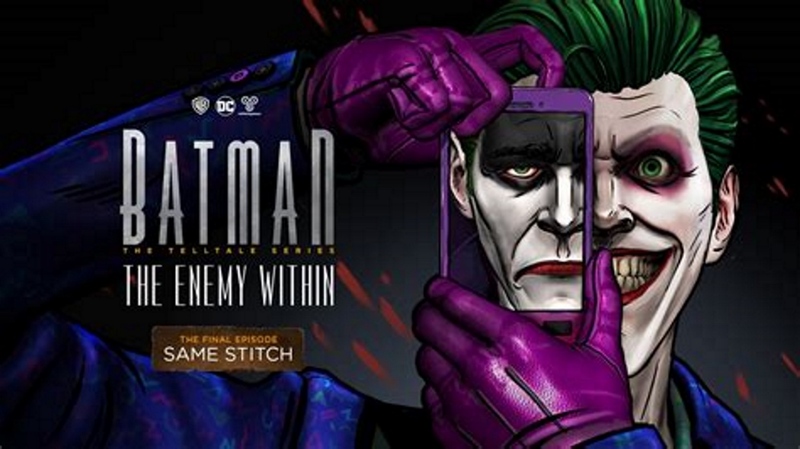 There Are No Good Choices In Episode 5 Of Batman: The Enemy Within! I have been kind of distracted, so it took me a while to finish off Batman: The Enemy Within, but the series really ends well. All those choices you made finally pay off with a Joker of your making. He either ends up trying to be a vigilantly or a villain, and you will have to deal with him either way. Batman and the Joker have always had a very codependent relationship. Without Batman there would be no Joker, so to see your choices bring a different Joker to life is kind of an amazing experience. Sadly for Bruce, things still cannot end up the way he wants them. He has to make a lot of tough choices in this episode, and almost all of them end poorly. Which is the most Batman thing of all time. Telltale has hit a bit of a rough patch, so I am not sure about the future of their Batman franchise, but I hope they find a way to keep making this story because it is excellent. If only the Warner Brothers movie studio had this much writing talent, maybe we would finally get a good new Batman movie. Regardless, now that the story is complete, there is no reason not to jump in to Telltale’s Batman: The Enemy Within, or go back and start at the beginning with Batman: The Telltales Series. You will be glad you did. Previous PostPrevious Shmee Is Engulfed In The Infinity War! Next PostNext Jade Empire On The Xbox One Is A Wonderful Way To Revisit A Classic!